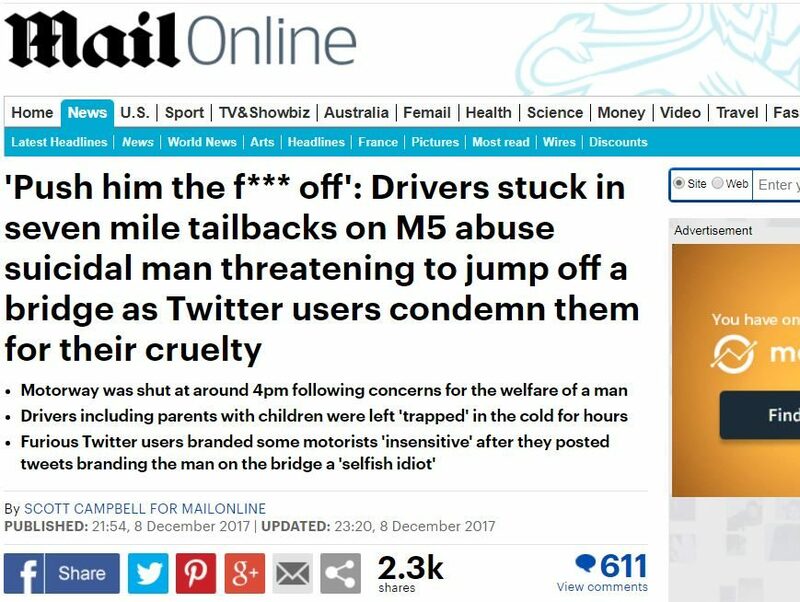 A man whose tweet saying a suicidal man should be pushed off a motorway bridge was published by Mail Online has had his complaint against the news website dismissed by the UK’s largest press regulator. 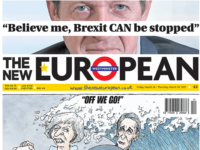 The man, whom Press Gazette is choosing not to name, complained to the Independent Press Standards Organisation that the story, published on 8 December, 2017, breached accuracy and privacy clauses. He said his comment, full name and a picture of him had been included in the piece, covering tailbacks caused by the incident and the response of those caught in traffic, without his consent. The man claimed he had deleted the message within five minutes of sending it and that it had not been engaged with on the social media platform. He said he suspected Mail Online had accessed the tweet with the “illegal use of scraping tools” because of the short amount of time that it had been publicly available. He said he had not sent the message while waiting in the traffic jam caused by the emergency service response to the incident, as suggested by the article, and that the publication had “deliberately presented the Tweet in this manner in order to generate as much hatred against him as possible”. Mail Online said the man did not have a reasonable expectation of privacy in relation to his comment because he had posted it on a public domain, with his full name and photograph visible on his Twitter profile. 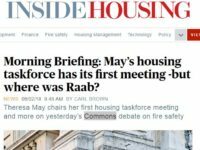 It said the published screengrab of the tweet included a timestamp showing that the comment had been online for at least 15 minutes when seen by a Mail Online journalist. It also said that the Tweet was still live when the article was published. Mail Online said it considered that the complainant had intended for his comment to be widely viewed as he had sent it in response to a post from a verified account with over 69,000 followers and his message had included the BBC News Twitter handle. It said the man had sent the tweet at roughly 6pm and that police had said the incident only came to a conclusion at 8.45pm. The committee said the man’s image was “publicly available” on his social media account and so its publication in the article had not disclosed any private information about him. It said: “The complainant had called the man on the bridge ‘selfish’, and he had said that police should push him from the bridge or pull him down,” adding that it therefore “did not consider that the publication had given a misleading impression of the sentiments expressed by only using a section of the statement in the headline”. Ipso said the article itself “included the full tweet, which included the complainant’s comment that the incident would be repeated because of the media attention being given to it” and as such “there was no failure to take care over the accuracy of the article on this point”.